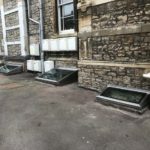 Over the last few months, the Red Box Engineering team have been working closely with Limitless Ltd, to create a range of window frames, cellar windows and various stainless steel frames. 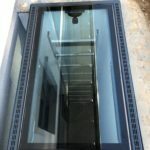 Limitless Ltd supply their customers with solutions that allow more light into areas of a home that may otherwise stay in darkness. These window frames (pictured below), are a sleek, smart and stylish way for customers to transform a room, adding endless opportunities to a rooms uses. 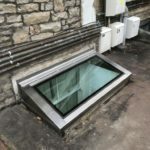 A big draw, is for customers who have cellars and are stuck for ways to make the most of this space, due to the nature of the room, being underground and dark, primarily used for storage rather than living. With rooms like these being rented out more and more often, especially in busy cities. Limitless provide a solution to these issues! Perfectly fitted, bespoke windows and covers are fitted allowing streams of natural light into the rooms. This is where the Red Box team step in. 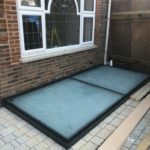 We create the stainless steel frames that will be used in the finished product, once these are made they are sent to Limitless where glass is fitted and then they are installed. These frames are cut and welded to give a smart and professional finish.